The transfer window will open in June in England and once again it is expected to be a busy one for Premier League clubs, with reports that Manchester United are to undergo a huge rebuild having already all but sewn up a deal for high flyer Memphis Depay. So how will Chelsea be playing this one? Here we will be taking a look at some summer targets, where they might fit in and who are the priorities, as well as discussing potential departures and who will be making the room and raising the cash for new players. The Blues have been excellent in recent years with their business and keeping net spend to a minimal, making sure they stick to the rules of financial fair play and home grown quotas. You’ll rarely see Chelsea moving in for highly priced signings anymore and will usually stick with the lower fee’s. We’ve seen them be very cut throat recently in selling players for a profit who are just not looking to be up to standard and I feel that will continue. So let’s take a look at some players who could be facing the exit this summer. The Brazilian International has been a regular feature at Chelsea since arriving from Internacional back in 2012 for just under £20 million. However, during recent seasons he has failed to offer that extra quality with his performances and has been under par, especially this year. Although there is no doubting his talent, I feel this could be one player who Chelsea will be willing to let go in order to raise funds and make a profit on. Juventus are the most likely to stump up the expected £25 million plus for the midfielder. Another player who has been a good servant to Chelsea Football Club, but has failed to ever really nail down a starting place in recent years and once again is a player who we could make a profit on in order to gather funds for buying. A large number of clubs are interested in Mikel in Europe and he is likely to be able to walk in to most first teams, but his time may well be up on the blue side of London. I’d be surprised if Jose Mourinho sells this gritty midfielder as he is certainly the type of hard working energetic player that he loves. But having said that, although he has been used quite a bit in the first team his future remains unclear. Generally happy at Chelsea though and I reiterate, I’ll be shocked if he leaves but the potential is there. Only recently been signed by Chelsea and has not really been given a chance by Mourinho, but I feel that this is a lack of trust in the players ability and perhaps it was not as much Mourinho’s idea to sign him and a slight panic buy back in January. These are the reasons that Mourinho may well be interested in shipping him out as their are other wingers he’d much prefer to pursue. Another of Mourinho’s favourite players but he is not getting any younger and could hold some value. He is under the over 30s contract regime in place at Chelsea so he goes one year at a time. Ivanovic has a year left on his current contract but there were talks of renewing. Again I’d be shocked if he was allowed to leave but the strong interest from Europe cannot be ignored and we are well aware that it is not always Mourinho’s choice. Contract up at the end of this season, talk of finishing his career in America like many of the greats, I feel it is inevitable that the Chelsea legend will be moving on elsewhere. We know he’ll return one day as a coach and I believe this season although he has popped up with some important goals, he no longer has the legs for the Premier League. Previously stated that he’s happy to stay at Chelsea, however I feel with potential arrivals of more strikers this summer we will see the departure of Remy who again hasn’t really had the chance to prove himself at The Bridge. Another one who has said he is happy, but another one who has also just warmed the bench. I can’t see him wanting to do another season of that at the age of 29. I feel a swap deal back to Atletico Madrid is on the cards here. We all know the story here, he wants first team football and will leave. That’s fully understandable for a keeper of his world class quality and he deserves to be playing every game. Mourinho wants to keep him and if forced to sell then only for a high fee away from England. But the strongest interest so far is coming from Arsenal and Liverpool. I can only see a deal of £10 million plus to Europe here. So, with all these potential departures and an already thin squad depth, we will have a small shortlist to be having a look at as replacements right? I don’t have enough pages to go through every player currently linked with the club, that would also take me a good few days. So let’s have a look at some realistic potential arrivals that could well happen. The key areas being looked at are possibly two strikers, two central midfielders (depending on who leaves), a winger, a centre back and a full back. This of course all depends on departures. Strength in depth will be looked at this season which means arrivals with the added youth players coming through, which is something the club are looking at more and more now. Chelsea have a great buying and selling relationship with Atletico Madrid, almost like a feeder club deal. Which is fantastic for the Blues as this is a team full of quality. So let’s look at two realistic arrivals from their first of all. A creative midfielder who has a real eye for a pass and is admired around the world for his technical abilities. Still only young at 23-years of age, he is a real genuine target for Chelsea who want to add more quality and depth to that area. I believe it will be a fee of around £25 million for this deal which is certainly more like the fee’s Chelsea have dealt with recently. This one could happen, once again if a swap deal can be arranged with perhaps Filipe Luis going back to Atletico and possibly Remy too if Griezmann is involved. There are certainly other players whom Chelsea are interested in from Atletico including defenders Diego Godin and Miranda. We head back to England here with the home grown quota in minds and a potential raid of Everton’s highly rated young british defenders. I feel here that Stones is more realistic than Coleman as he can cover centre back and full back which carries a lot of appeal as well as him only being 20-years old and an England International. He has nailed down his spot alongside Phil Jagielka in Everton’s defence this season and has been touted as having a great future, perhaps can be seen as a future replacement for John Terry alongside Kurt Zouma/Gary Cahill. The fee is not off putting either and it is expected to be around £20 million. Everton Manager Roberto Martinez has stated that neither is for sale but I’m afraid money talks in this business so certainly one to keep an eye on. Personally I can’t see this happening now and I feel this pursuit has died down due to his fee rocketing up with the interest from just about every top club in Europe! This move has an uncertain weather cloud hovering above it with various different reports circulating as to whether the player has signed a new contract with Inter or not. The latest is that he is still yet to sign and Chelsea are tempting him with a £22 million offer made to his club already. A striker is certainly top of the Blues shortlist and Icardi is another one who they are genuinely keen on. If that fails, we have Lacazette. The 23-year old energetic French International striker is almost certainly moving to bigger things this summer and will leave his club Lyon. There is a lot of interest elsewhere and Manchester United are also in the running. Once again, any over priced bidding wars and Chelsea will be out, it’s not like they are short of other targets. Not overly happy about being made to play out wide this season at Paris Saint Germain and recent comments show he is uncertain about his future once again. Chelsea have always had him on their radar and are certainly monitoring the situation there. Definitely one of the main targets, however like Pogba I don’t believe that Chelsea will want to pay the large fee expected and I don’t believe that Real Madrid will consider any offers. Still yet to sign a new contract with Liverpool and despite Brendan Rodgers stating that the player is going nowhere, we’ve all heard that before. After selling Luis Suarez last season, if Sterling really wants to go and ends up handing in a request Chelsea will certainly look at making an offer and the player himself wants to win trophies. This could be one to watch this summer. The Southampton enforcer has had a great couple of seasons in the Premier League drawing attentions from a number of sides. 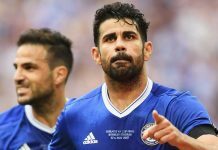 Chelsea are an apparent club who are looking at the holding midfielder. If Mikel leaves, this is an area that they’d need to add cover to and Schneiderlin may well be considered but it will be tough to force The Saints to sell. The Slovakian International could well be available for a reasonable fee and this may attract Chelsea to make an offer. Hamsik is a quality attacking midfielder who can play across the three, he’s been a good servant to Napoli but could be interested in playing in England. The Brazilian youth international is predicted to have a bright future and Chelsea have been scouting him. The 22-year-old could well arrive at Stamford Bridge to add depth should they get priced out of other targets. Plays as an attacking midfielder and has the pace and skill to be direct as well as a threat down the wing. Currently turning out for Lazio who would welcome the money, a fee may well be arranged to suit all parties here. Currently playing alongside former Blue David Luiz in Paris, there is certainly some strong interest from Chelsea here for 20-year-old centre back. Already a senior Brazilian International and regular for PSG, the young defender is full of talent. This is another one that may not be overly likely and the Blues are expected to be warned off by PSG who will be highly reluctant to sell, but he’s certainly up there with the main targets. There are many others here but I feel realistically it will be some deals with Atletico Madrid that are most likely along with a few others. Some surprising names on the list purely to help out the home grown quota? Rickie Lambert, Charlie Austin, Aaron Cresswell, Danny Ings and Emmanual Adebayor. We have a few strikers here who are home grown, some at the latter end of their careers and some who would jump at representing Chelsea. These are all reasons that they are linked with the Blues. Especially in the case of Adebayor and Lambert, who would be happy to be bit part third choice strikers, this could well happen and maybe seen as a sensible move here as not many players will be happy to do that. And the goalkeepers to replace Petr Cech? Shay Given, Rob Green and Marcus Bettinelli amongst others. Once again here I feel it will be a player nearing the end of their career and someone considered as home grown for obvious reasons. Once again, a sensible option here is wise. Finally, here are a number of other names currently being talked about with moves to Chelsea. There is no saying the legitamacy of these names but one thing for sure is that Chelsea will have many options, many players who they are looking at and a shortlist that is genuinely the size of an essay! Let’s finish off with a few more that might not be AS realistic as the previously mentioned. Paulo Dybala, Gareth Bale, Marco Reus, Radamel Falcao, Luiz Adriano, Nathaniel Clyne, Aleksandar Dragovic, Daniele Rugani, Mattia Destro, Douglas Costa and Gianelli Imbula.